Are you holding a party, event, festival or a large get together and you don’t have bar facilities available to you? Well now you do with Black Box Hire. Piper Catering Events Logistics at The Oxford have fully equipped Black Box Bars available to hire for your event. 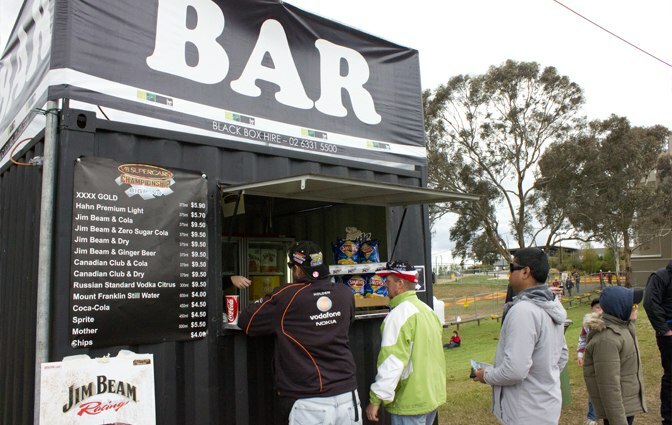 Piper Catering utilise the Black Box Bars each year at the Bathurst 1000 V8 Supercar event as you can see in our photos.